We are experts within the window & door sector and have carried out countless installations throughout London with many satisfied customers.We are a FENSA approved installer & members of the Glass & Glazing Federation. All our windows & door guarantees are double backed by GGF insurance, giving you complete piece of mind. 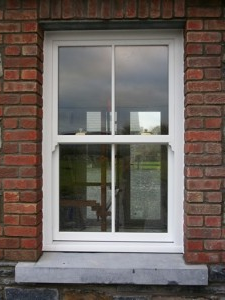 We use only the highest quality fabrications materials in our windows & doors. All our locks & locking mechanisms be it on our doors or windows have sustained many tests to ensure their strength & resistence to attack. If you require a quotation on windows & doors for your property call us today where we can advise you on what best suits your needs & where you can choose from our extensive range. Also you will be surprised how competitive we are on price, without compromising on quality. Recent interest; sash windows, dictionary french, sash windows refurbishment near wandsworth sw18, best double glazing company in london, sash window, replacement wooden windows, double-sashed window.